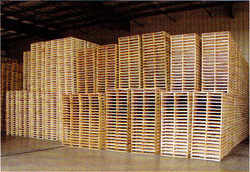 Koll Enterprises, LLC will help you find or custom build the right pallet or crate. 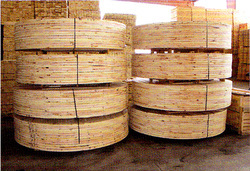 - High output Turbo Viking 505 automated nailing machine with available production capacity of 24,000 Units per week. 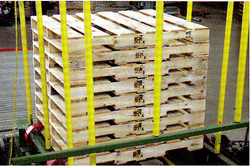 - Versatile production capabilities to cost effectively produce custom size pallets. - Computer controlled and operated to guarantee consistency and quality. 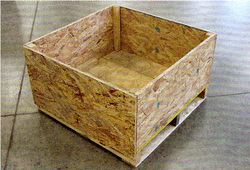 - Ability to custom stencil or brand pallets with Customer's name, part number, or logo. 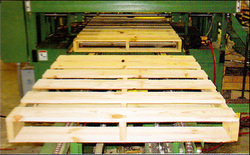 - Champion and Pallet Chief automated nailing machines available for backup production and low volume remanufactured pallets.